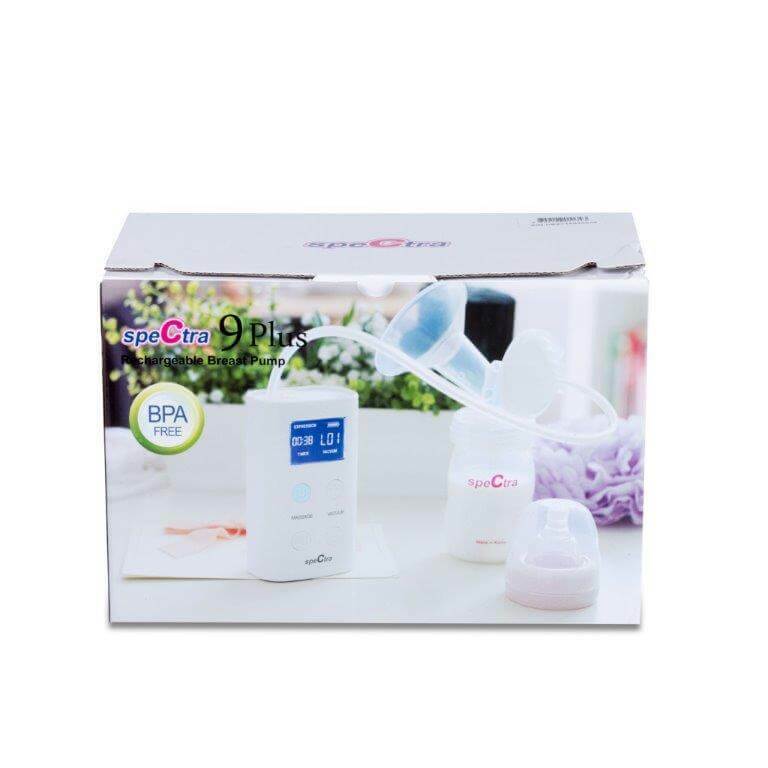 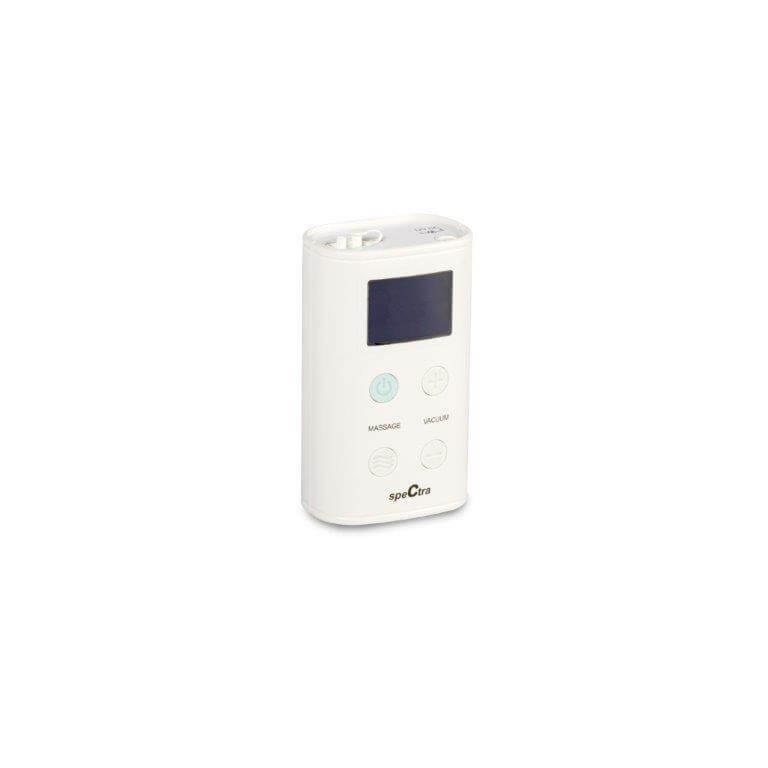 The Spectra 9 Plus double electric breast pump features a bright digital display with customizable suction and cycle settings. 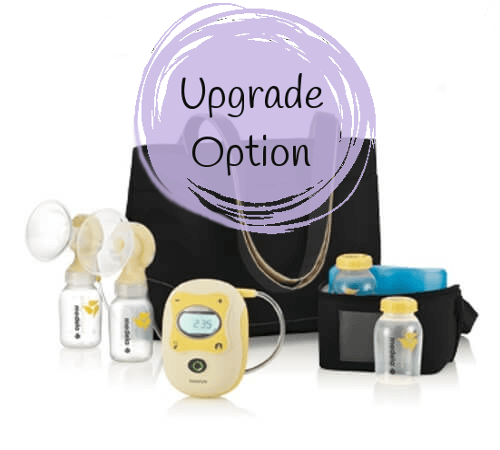 Its compact and lightweight design features a rechargeable battery with the max suction pressure of 280 mmHg. 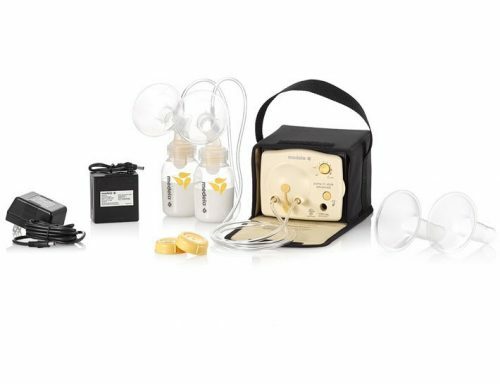 This pump is also a closed system so milk does not back up into the tubing or pump. 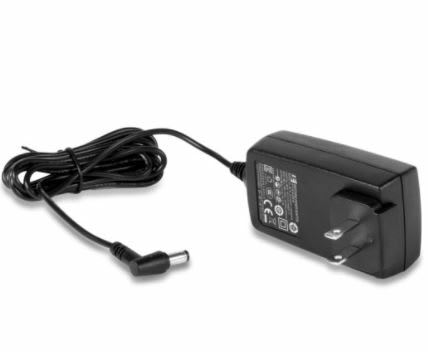 This pump is compact and discreet and can fit in any carrying case. Although it has a small design, it has the max suction of 300 mmHG of suction pressure. 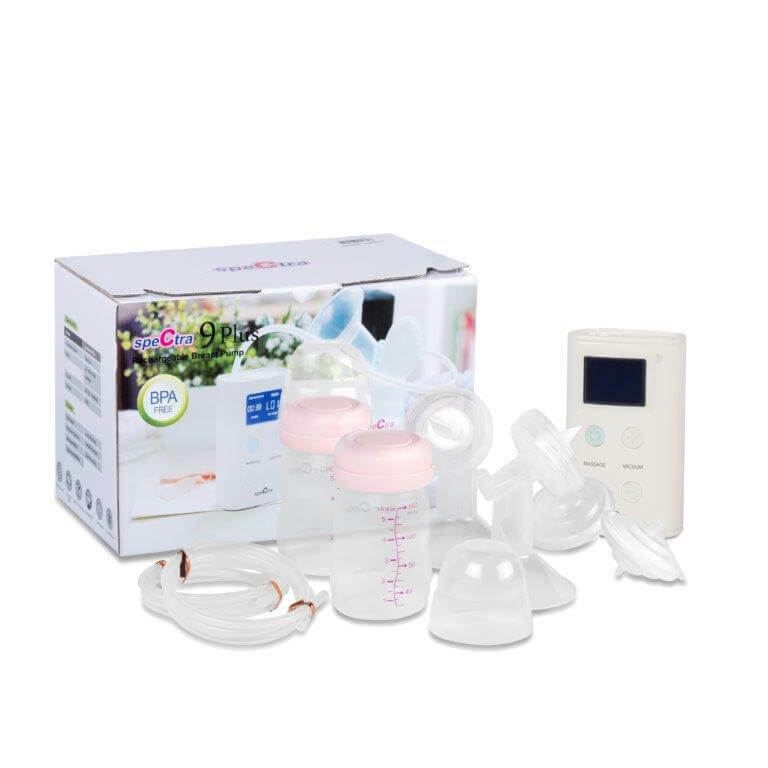 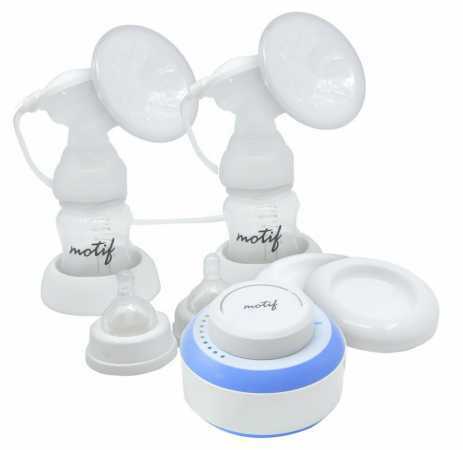 Includes: Two 24 mm breast shields, two 5 oz wide mouth bottles, and rechargeable built in battery.